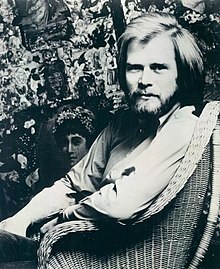 John William «Long John» Baldry (12. januar 1941–21. juli 2005) var ein engelsk-kanadisk bluessongar og stemmeskodespelar. Han song med fleire britiske musikarar, og Rod Stewart og Elton John spelte i band leia av Baldry i 1960-åra. Han hadde popsuksess i Storbritannia der «Let the Heartaches Begin» gjekk til topps i 1967 og i Australia der duetten hans med Kathi McDonald, «You've Lost That Lovin' Feelin'», nådde andreplassen i 1980. Baldry budde i Canada frå slutten av 1970-åra til han døydde. Der fortsette han å spele inn plate og arbeide som stemmeskodespelar. To av dei mest kjende rollene hans var som Dr. Robotnik i Adventures of Sonic the Hedgehog og som KOMPLEX i Bucky O'Hare and the Toad Wars. Baldry døydde 21. juli 2005 i Vancouver av ein alvorleg brystinfeksjon. Han etterlet seg partnaren Felix «Oz» Rexach. Denne artikkelen bygger på «Long John Baldry» frå Wikipedia på engelsk, den 30. mai 2018. ↑ Conflicting evidence exists Baldry's birthplace. Earlier editions of this article stated that he was born in the village of Haddon. VH1's profile of Baldry states he was born in the village of East Maddon, while Allmusic.com states he was born in London. The documentary Long John Baldry: In the Shadow of the Blues states that his mother escaped London during The Blitz to give birth in Northampton, making East Haddon his most likely birthplace. ↑ Rexach, a native of New York City, had been Baldry's partner for over 25 years. See Graham Rockingham (9. oktober 2007). «King of British blues: All hail Long John! New book on Baldry pays close attention to his years in Dundas». Hamilton Spectator. Review of Paul Myers, It Ain't Easy: Long John Baldry and the Birth of the British Blues (Douglas & McIntyre). Denne sida vart sist endra den 30. mai 2018 kl. 20:51.